LL, this is visually stunning and salmon with Asian flavours…a wonderful match. This sounds like a terrific/unique entry for the contest. Good luck! I love anything salmon. My absolute fave. Hi Peter – thank you. The flavors are very “clean” if you will. 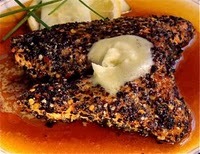 Hi Giz – I was going to submit this dish to Tried, Tested and True, because I have made it a number of times with beef, and the salmon lightens it up, but I thought that topping it with butter wasn’t quite right for your event. I will submit a different one soon. Please let me know if you make it. Hi Recipegirl – thanks for the good luck wishes. Me too on salmon. Wow! Such an impressive dish to serve on a special occasion! Love the way it looks and sound of the ingredients. I love the way you prepare salmon it always looks so appealing, and I know for sure it tastes superb! Hi Marie – thanks, I think it is an easy fish to cook, versatile and as long as it is not overcooked, it usually always turns out great. 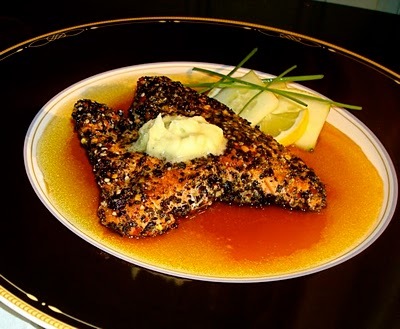 Love the idea of all those beautiful sesame seeds crunching along with the silky smooth salmon. Great idea with the tamari! Looks so delicious! I love the presentation too! Very nice. King salmon deserves its name. Hi WANF – It is a winning combination. 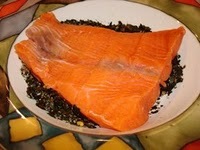 Hi Simona – Salmon is one of my favs. Oooh! I hope you win! 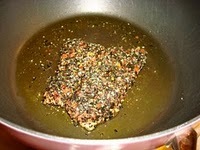 Darn – I have a salmon dish I haven’t posted yet that I could have entered, but I was MIA last week…. I give you credit for working in education. I was teaching VBC to nine 5 yr olds for only 3 hours a day and I was completely exhausted. I ended my week with a prayer of thanks to everyone who dedicates their life to educating our children (you certainly were among my prayers). I got to make this today in my shop and was able to share the results with a few of the lucky customers that were around. It was an enormous hit!!! 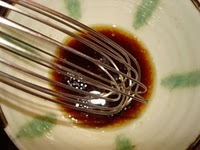 Your recipe was not too specific on the type of seaweed you used, and I just happened to have some dried Ogo (red, Hawaiian seaweed) and used that. It was perfect. Being from the Northwest and having to be very picky about how salmon should be prepared, this was a stretch for my customers, but they walked away with recipe in hand and a smile on the face!